Modern antifouling coatings are generally based on cuprous oxide (Cu2O) and organic biocides as active ingredients. Cu2O is prone to bioaccumulation, and should therefore be replaced by more environmentally benign compounds when technically possible. However, cuprous oxide does not only provide antifouling properties, it is also a vital ingredient for the antifouling coating to obtain its polishing and leaching mechanism. 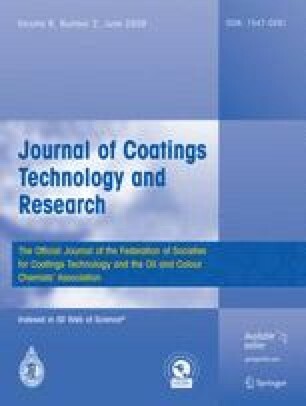 In this paper, peroxides of strontium, calcium, magnesium, and zinc are tested as pigments in antifouling coatings. The peroxides react with seawater to create hydrogen peroxide and highly seawater-soluble ions of the metal. The goals have been to establish the antifouling potency of an antifouling coating that releases hydrogen peroxide as biocide, and to investigate the potential use of peroxides as water-soluble polishing and leaching pigments. The investigations have shown that it is possible to identify particulates that, when applied as pigments in antifouling coatings, will provide polishing and leaching rates comparable to those of Cu2O-based coatings. Furthermore, the combination of polishing and hydrogen peroxide leaching by a coating based on zinc peroxide in a suitable binder matrix provides antifouling properties exceeding those of a similar coating based entirely on zinc oxide. This work is funded by the Danish Ministry of Science. It is part of the CHEC Research Center at the Department of Chemical and Biochemical Engineering, funded among others by the Technical University of Denmark, the Danish Technical Research Council, the European Union, the Nordic Energy Research, Dong Energy A/S, Vattenfall A.B., F L Smidth A/S, J.C. Hempel Foundation, and Public Service Obligation funds from Energinet.dk and the Danish Energy Research program. The authors wish to thank the Institute of Marine Research (IMR), Tjärnö, at the University of Gothenburg for supplying barnacle cyprids. Also thanks to chemical engineer, Ajish John, for his good work and thorough reporting.